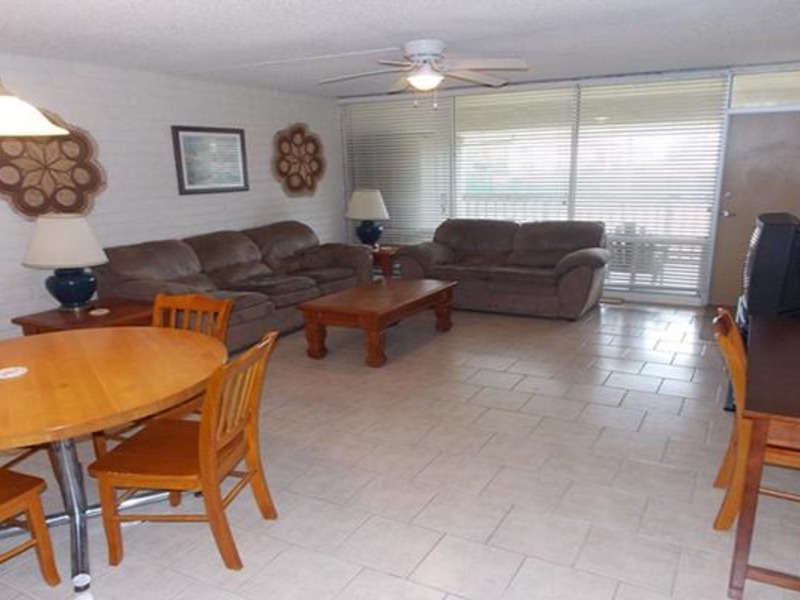 This tidy 2 bedroom, 2 bath condo at Sea Sands Condos in Port Aransas is just steps from the community swimming pool, and offers a beach walkover. 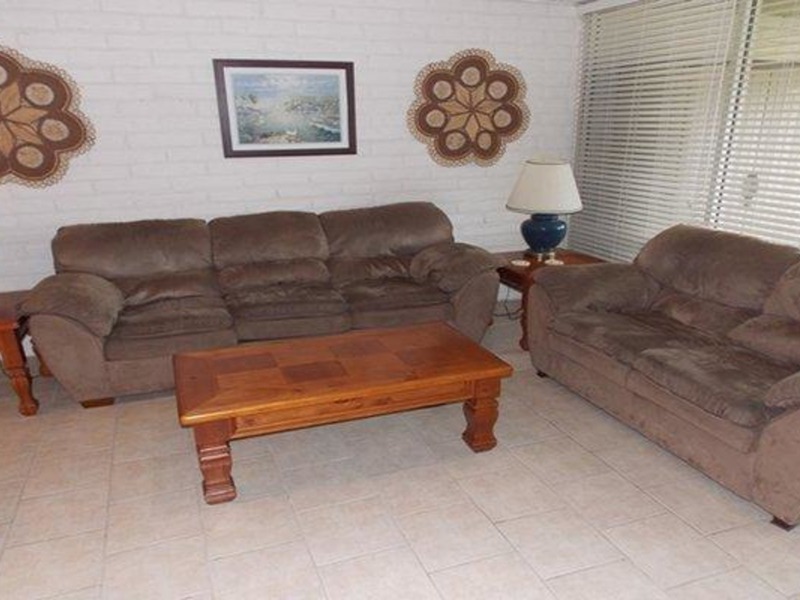 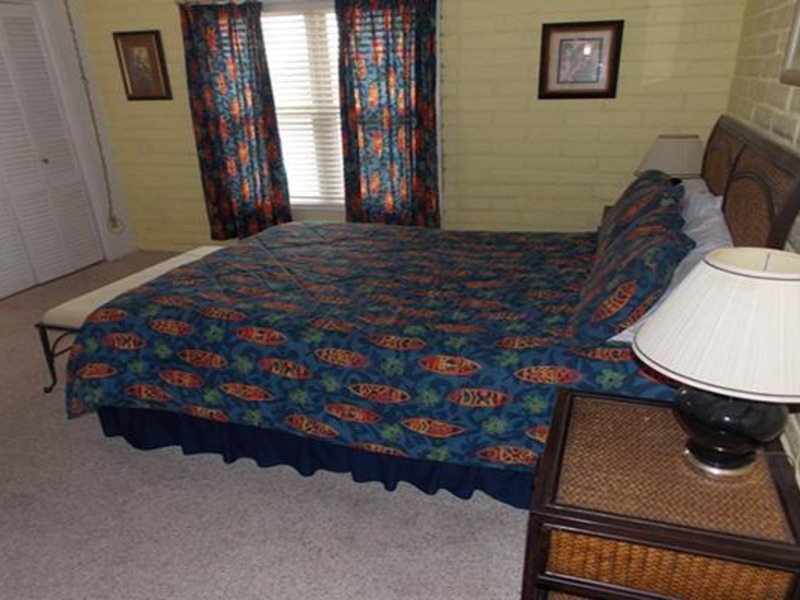 It has attractive ceramic tile throughout the living area, bathrooms, kitchen and hallway, with carpet in the bedrooms. 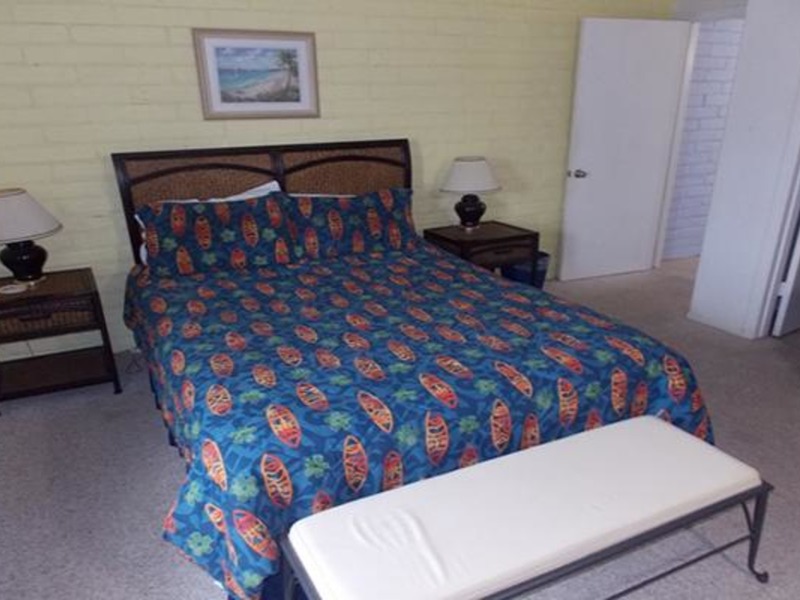 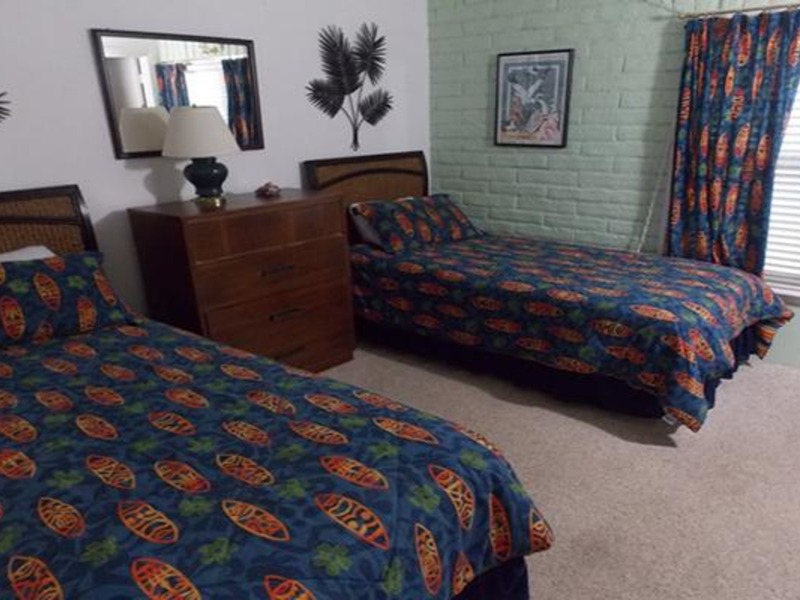 Sleeping up to 6 guests, this unit has a queen sized bed in the master bedroom, 2 twin beds in the second bedroom and a sofa sleeper in the living area. 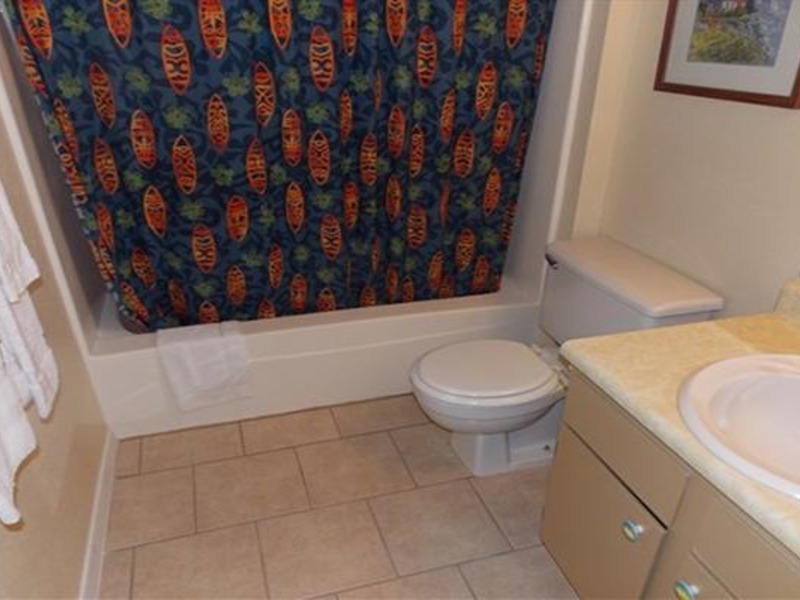 This unit comes equipped with cable television. 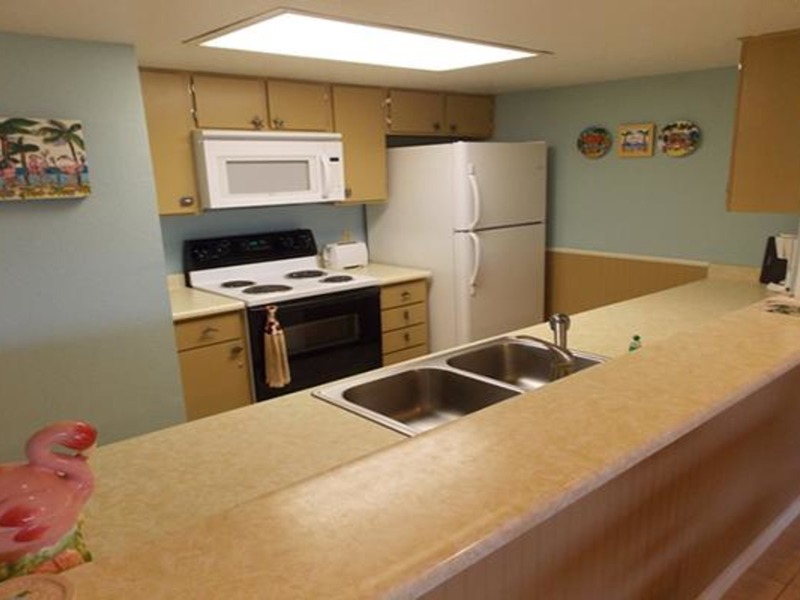 The kitchen has a large breakfast bar that opens into the living area, and comes fully equipped with a refrigerator, stove, microwave, dishwasher and other kitchen essentials. 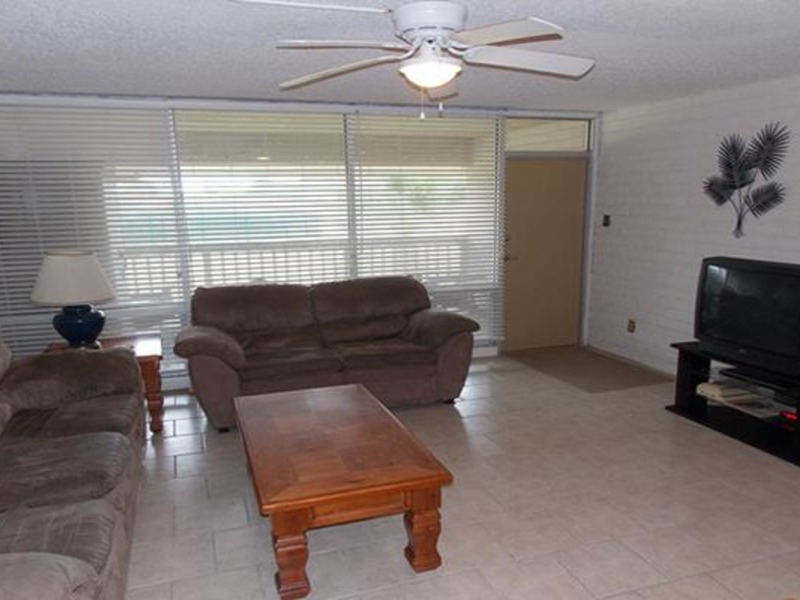 The living room has a large window and opens up onto a covered, private balcony. 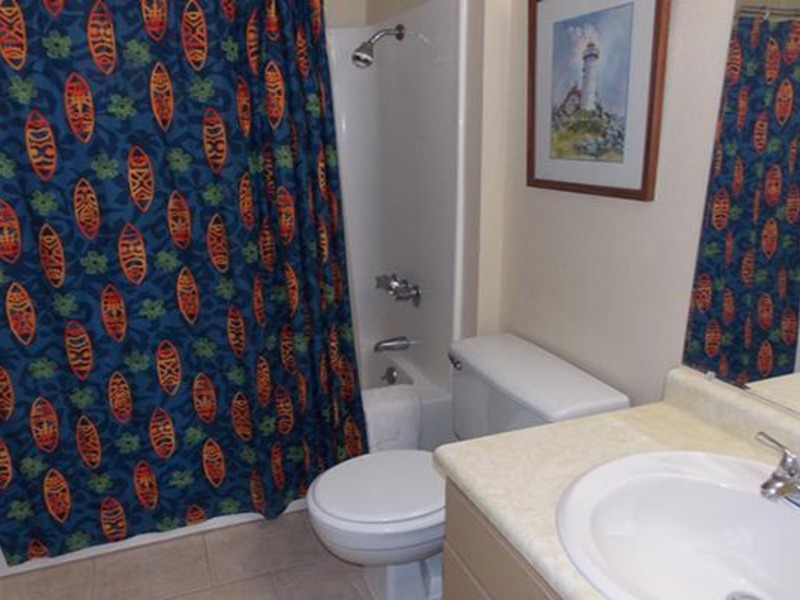 The complex also has a commmunity laundry facility and free wireless internet. 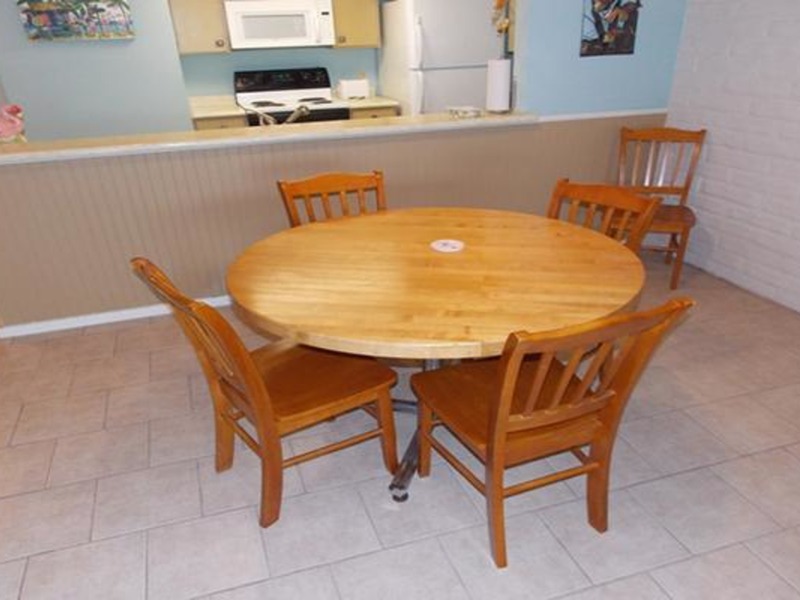 If you are a fisherman, there is ample parking for a boat (bay boats, no large or offshore boats), and the in-town location means you are just minutes from all the restaurants, shopping and nightlife that Port Aransas has to offer. 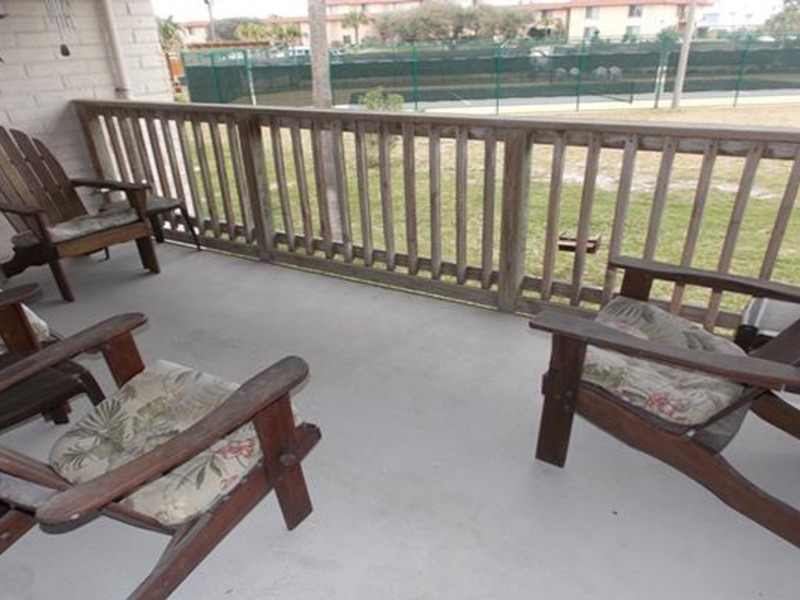 Amenities include Air Conditioning, BBQ Grill area on site, Boardwalk to Beach, Boat parking, Ceiling Fan(s), Coffee maker, Community Pool, Community laundry, Dining table, Fully furnished kitchen, Microwave, Oven, Patio Furniture, Private balcony, Refrigerator, TV & Wi-Fi. 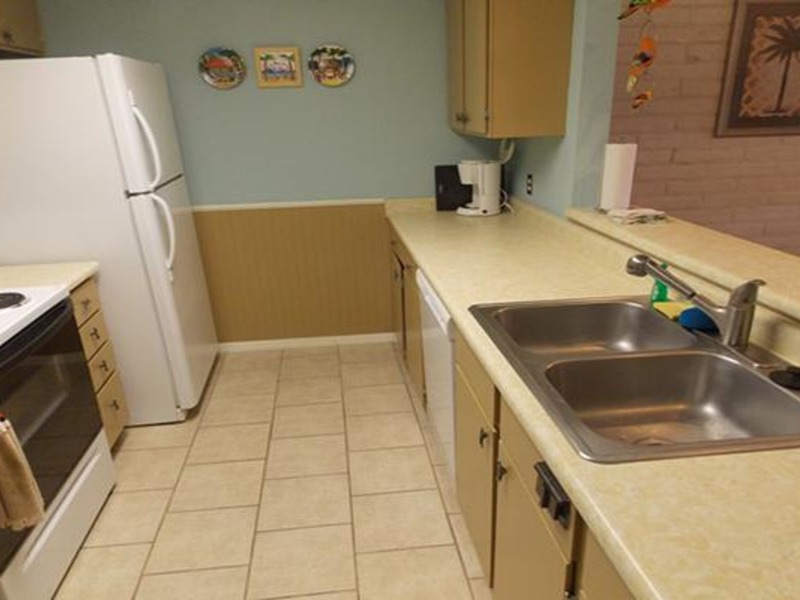 Square Footage: 1044 Square Feet.